At Sockwell®, they stand for wellness. They’ve reinvented the therapeutic sock by spinning innovative technology with modern styling for a lifestyle look. Their collection offers a variety of solutions including graduated compression, plantar fasciitis relief, bunion relief, relaxed fit, sport compression, and everyday essentials. All Sockwell® socks are made in the USA and sustainably sourced. When making socks, they care for you and they care for the planet. They believe in homegrown, consciously crafted products, so their socks are all made in American knitting mills. They are committed to supporting American farmers who care for free-grazing Rambouillet merino sheep across the mountain West. Homegrown fibers minimize their carbon footprint and choosing renewable materials is a sign of their commitment towards sustainability. As yarn architects, their socks are consciously crafted with American wool-based yarns like their Fine Merino Wool/Bamboo and Lambswool/Alpaca blends. This signature fiber blends balance durability and thermoregulation with environmental friendliness. Their Graduated Compression socks energize your step, minimize swelling, reduce fatigue, and speed up recovery – in patterns and colors that look great. Feel better in style with Sockwell® socks! Love, love, love these socks. They support my high arches in great comfort. I have 3 pairs. 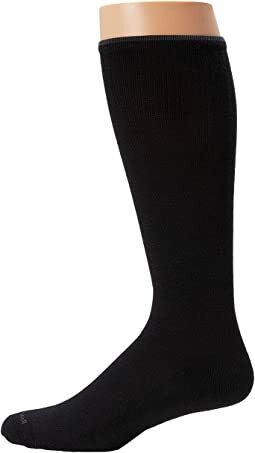 I’ve found that in sockwell socks a size S/M fits my 7.5 size feet best. 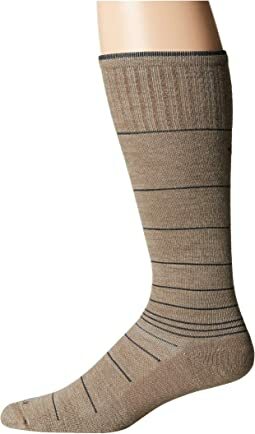 Very comfortable socks that dont fall down. Moderate compression, love how I dont have to adjust these and they fit well with my boots, they dont bunch up/shift at all. I wear a size 8 (normal width) and the MD/LG fit nicely, a little extra room in the toes but nothing excessive.hope these last. These socks are AMAZING. The pattern light compression massages and energizes your legs without constricting your feet, and the terry footbed provides a nice cushion for each step. I am not sure whether they will be too hot for summer, but they are perfect right now for winter. Love. These socks are AMAZING. The light compression massages and energizes your legs without constricting your feet, and the terry footbed provides a nice cushion for each step. I am not sure whether they will be too hot for summer, but they are perfect right now for winter. Love. First time I wore them I was impressed. Worked a long day at a craft fair and legs and feet felt great. Also they weren’t too hot. Will order another pair for when I travel. Awesome sock. Does the job. Feet feeling much better. Shooting, aching pain in feet gone.